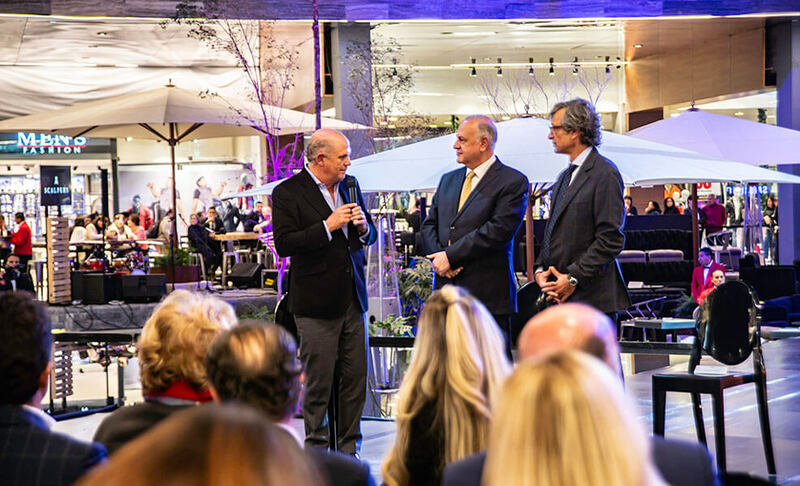 The reopening of Plaza Satélite was attended by Alberto Curi Naime, Secretary for Economic Development of the State of Mexico, Prof. Juan Pedrozo Gonzalez, Director General of Commerce of the State of Mexico, together with Javier Sordo Madaleno President of Grupo Sordo Madaleno and Alfonso Salem from Grupo Carso. 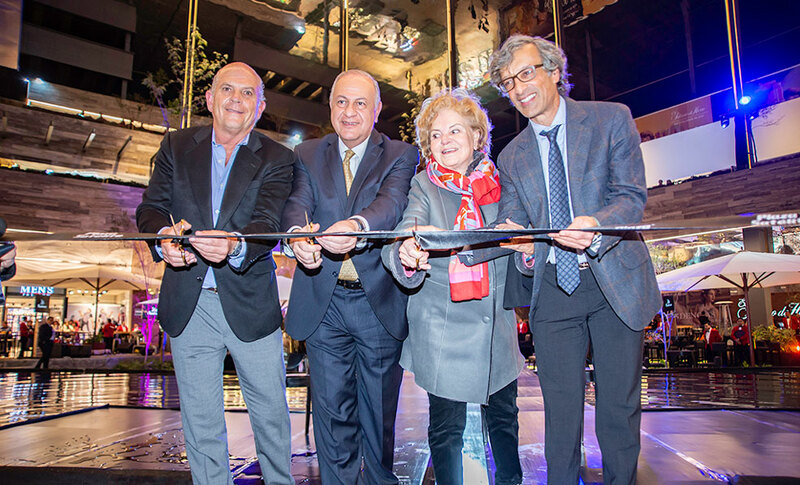 The current renovation project, as well as encompassing the refurbishment and extension of the shopping mall, is notable as a significant architectural challenge, as it represents the third intervention by Sordo Madaleno to the original design. Plaza Satélite evolves for the world of today while retaining its architectural essence. Timber, steel, vegetation, stone and water are the principal architectural components for the transformation of the interior. 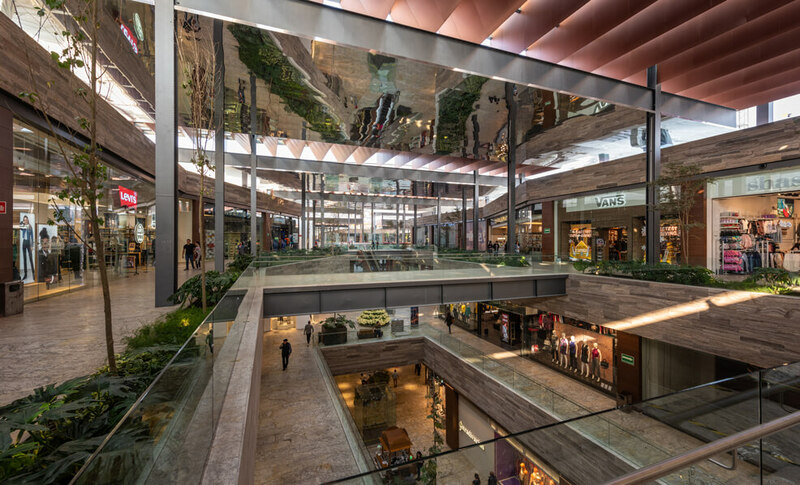 As a result, Plaza Satélite will have a new total built surface area of 548,000 m2, with a total retail floor space of 180,000 m2, consolidating itself as one of the largest malls in Latin America. Plaza Satélite is an original project by Juan Sordo Madaleno, founder of Sordo Madaleno Arquitectos. The shopping center was first opened on October 13, 1971, after three years of construction, with 150 retail units and four anchor stores: Sears, Sanborns, Liverpool and the former Paris Londres, strategically located at each end of the building. Plaza Satélite underwent a significant expansion in 1995, increasing to 240 stores and a 15-screen Cinépolis cinema. In this phase, the modern style of Juan Sordo Madaleno made way for a more colorful decorative scheme that was filled with light by the placement of vaults with openings along the corridors and finished in earth colors. 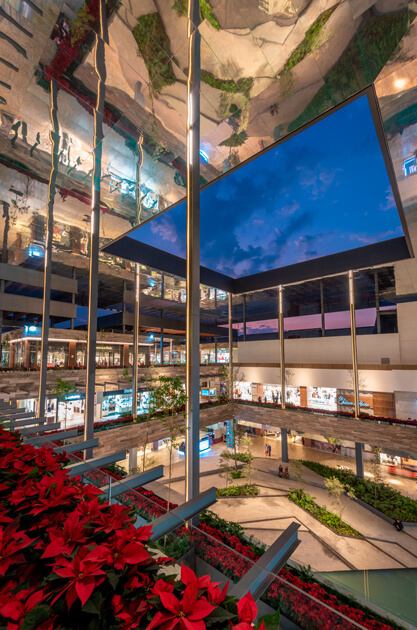 In 1998, the Palacio de Hierro department store arrived with a further extension of the commercial plaza, also designed by Sordo Madaleno Arquitectos. 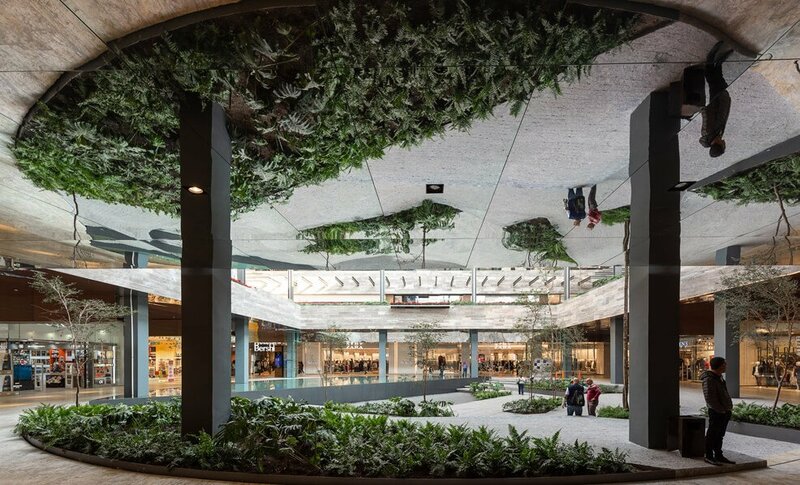 The location of Plaza Satélite, to one side of Boulevard Manuel Ávila Camacho (Anillo Periférico Norponiente) to the north of Mexico City, has been a significant factor in the success of the shopping mall, which has functioned as a positive economic trigger for the surrounding area.